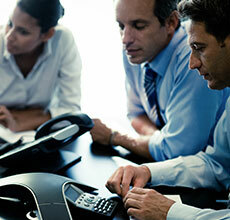 Business runs better with Unified Communications. Your project's success begins here. That's why we designed our assessment tools and services to be easily tailored to meet your unique requirements, while generating the hard data and specificity that your project's future success requires. Envision success, then design for it. Using our assessment, we design from the needs of your organization outwards. We ask incisive questions about the internal/external factors and expectations driving the project, critical processes and metrics, financials, and optimal management strategies. We'll leverage our own expertise and experience in your industry as well as draw upon our close partnerships with the world's largest technology companies. 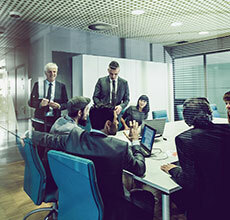 Working together, we'll design a solution that is secure, scalable... and successful. 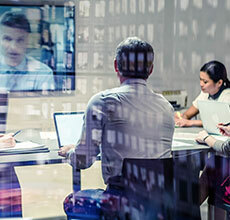 All of our planning, designs, and strategies come together, as we begin the painstaking process of integrating new, transformative technologies without disrupting the old. Working alongside your team, we help manage the multiple complexities on which your success relies, all while holding a hard line on the schedule and budget. And while this is the "end" of the project, it's the beginning of your success... and the IT lifecycle. So we'll help with ITAM and ITAD, too. What geographic challenges or opportunities are you facing? Whether you're upgrading legacy systems, transforming your workflow, or wondering how to cut costs while increasing services, we can help.